Are you looking for information on Terminator 2: 3D? 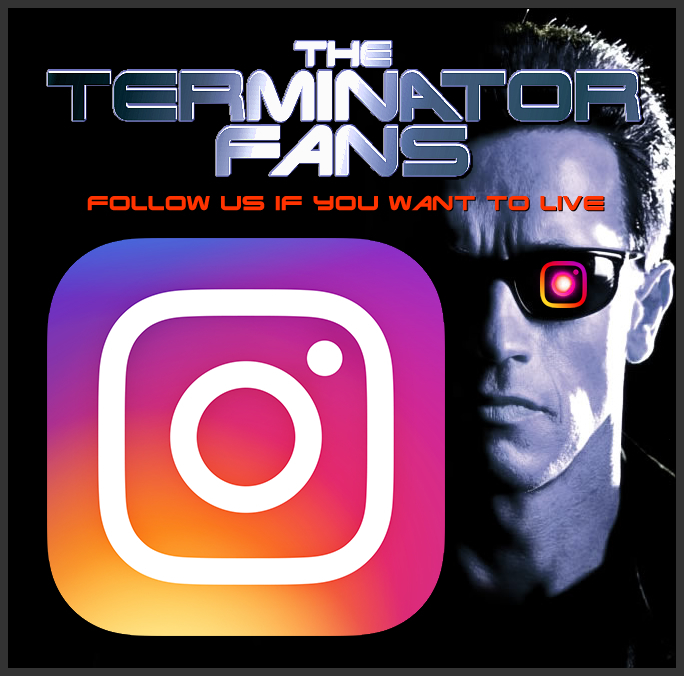 Go to our Terminator 2: 3D page by >>>clicking here<<<. T2 demands the viewer to sit up and take note; it succeeds in recapturing the feelings created by its predecessor whilst expanding on beloved themes with imagination and ingenuity. The evolution of Ms. Connor (Linda Hamilton) is a stunning example of why this sequel is the perfect progression of this franchise. 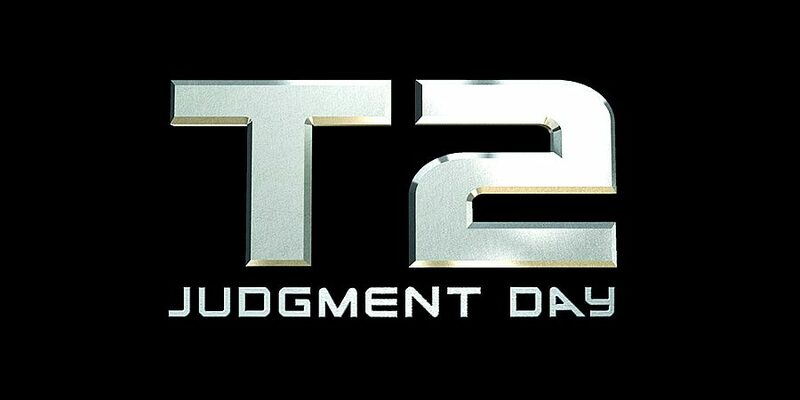 Terminator 2: Judgment Day, opens in a very familiar way- with the appearance of the Terminator. Two, actually.One, is the tried and tested Terminator from the first film (Arnold Schwarzenegger) the other? An even more advanced and deadly killing machine (Robert Patrick).The second Cyborg is made from a liquid metal which enables it to shapeshift into any form it should wish.Both robots begin their search for John Connor (Edward Furlong) the teenage son of Sarah Connor (Linda Hamilton) and the future leader of mankind.Sarah’s life is entirely changed from when we met her in the first film, as a patient in a mental facility she has no control over her day to day routine.Sentenced there indefinitely after attempting to destroy Cyberdyne- the company which will bring about the construction of SkyNet and initiate WWIII.Sarah is no longer the soft young thing we remember from the previous installment,- doing pull-ups in the mental ward, she’s muscular and determined to be a mother to her son.But John, without the support and stability of a family unit has become the definition of disaffected youth, a delinquent on the road to nowhere.As the two Terminators track John down we realize the “good” Terminator (Arnold) is there to protect the hope of man’s future, not extinguish it.A struggle then ensues to keep John and his mother alive, as the countdown to Judgment Day begins. Arnold Schwarzenegger: The Terminator, Linda Hamilton: Sarah Connor, Edward Furlong: John Connor, Robert Patrick: T-1000, Earl Boen: Dr. Silberman, Kyle Reese: Michael Biehn, Joe Morton: Miles Dyson, S. Epatha Merkerson: Tarissa Dyson, Castulo Guerra: Enrique Salceda, Danny Cooksey: Tim, Jennette Goldstein: Janelle Voight, Xander Berkeley: Todd Voight, Leslie Hamilton Gearren: Twin Sarah, Ken Gibbel: Douglas, Robert Winley: Cigar-Smoking Biker, Peter Schrum: Lloyd, Shane Wilder:Trucker, Michael Edwards: Old John Connor, Don Stanton: Lewis Guard, Dan Stanton: T-1000, Lewis, DeVaughn Nixon: Danny Dyson, Tony Simotes: Vault Guard, Diane Rodriquez: Jolanda Salceda, Dalton Abbott: Infant John Connor, Abdul Salaam El Razzac: Gibbons, Takao Komine: Tourist Shot By T-1000. The “Extreme Edition” DVD of Terminator 2: Judgment Day arrived a mere year and a half after the “Ultimate Edition” so, we decided to have a gander at how “Extreme” it really is (cue many nudges and winks).This edition comes with an additional sixteen minutes of extra scenes which, if you love it as you say you do, you won’t miss come hell or high water. A definite plus with this DVD is that it has been digitally re-mastered from the new 1080P, 24SF Hi-Def Telecine transfer for the superior audio and visual quality (sooo worth it).Both the “Ultimate” and “Extreme” editions offer the Dolby 5.1 EX Track allowing for a smoother and more refined listening experience. The extras…Commentary from director James Cameron and Co-writer William Wisher, with the two voices being separated into the left and right speakers (sw-eeet) so that you’re able to distinguish between the two commentators. The commentary itself is lively, entertaining and surprisingly modest considering these two men created a legend, by the end you’ll have a much clearer and more informed idea of where the story was headed and how it eventually came to be.This edition comes with a running textual narrative on the different facets of the production, watch out for the Cyberdyne logo which appears sporadically at the top right of the screen, hit it and feel the sun light your face as though God (Cameron) has smiled upon you.Don’t worry if it sounds too complicated, it took us a while to get to grips with it too, when I say “us” I mean the ten men and five women we employ to do the grunt work so I’m free to play with my Terminator action figures.The Extreme Edition of Terminator 2 includes two featurettes: No Feat but What We Make, a twenty-four minute look at how films like T2 have advanced the graphics in gaming. And, T2: On The Set,- eight minutes of behind the scenes heaven.Before I forget, there’s an Easter Egg to unlock which gives you access to the theatrical version of the film, though why you’d want that version when you have this little baby is beyond me.Plenty of whiz-bang for your buck and enough bite to have you salivating over the story long enough to keep you pinned, enthralled and awkwardly besotted for years to come.If you have yet to see this film, my question is… What the f*ck? !Buy the DVD, get yourself a big bucket o’popcorn, shut out the world and let in the doom, for the end is nigh….. or is it? Let’s review the film…What can I say that hasn’t been said before? The answer to that is nothing, so instead I’ll just indulge my absolute and undying devotion to this film. The explosions- I loved. The storyline- I loved. The characters- I f*cking loved. In 1991 the groundbreaking visuals provided by ILM (Industrial Light and Magic) allowed Cameron to give the Connor’s an intense new nemesis; seemingly indestructible and unstoppable. The pace never ceased hitting the viewer in the face and left cinema goers satisfied and shocked- in a good way. The film itself added an element of humor without mocking the audience with pure comedy as the later sequel (Terminator 3) did so many times, leaving a sense of tackiness to an undesirable level. The love is a very important aspect to these films, you don’t look for it because, like an old lovable pet that eats you out of house and home then pees in your shoes- the love sneaks up on you. James Cameron; till the end of my days I shall worship at the alter of your intrinsic awesomeness and vow never to leave the seat down. The later released T-1000 edition also satisfied the fans with never before seen scenes, that were omitted on some occasions for obvious reasons but some scenes are classic,- especially ILM visual effects (notably the T-1000 steelworks glitch moments) to keep the running time to a minimum. It appears that these days a 3 hr plus film does not stop a film being a classic. Go watch the American edition or Blu-Ray SkyNet edition to watch the film in its original entirety to see James Cameron’s original vision. One downfall to this movie is (if your a true fan like myself) that on investigating the numerous chapters on the T2 DVD you will see concept art of Terminators that didn’t make it to the final cut eg; ‘The Centurion’ and ‘The Silverfish’. Also in the original draft of the script we were meant to see the interiors of SkyNet (James Cameron’s art is phenomenal in his military style of drawing, it surely captures a terminator fan’s imagination of what could have been…). Scenes also omitted from the script; the reprogramming of the T-800 by Mr John Connor himself and his heavy crew of resistance fighters infiltrating the interiors of the mighty SkyNet Pyramid. Also the future war was meant to be a post apocalyptic winter, snowing mid future war would have been a marvel to watch. It’s just a damn shame Hollywood as always didn’t show the belief in Cameron to push the budget limit. Imagine a T1 with a budget of 50 million instead of 6 million and a T2 with a 200 million budget instead of 92 million and you will slightly begin to understand the way in which my mind works. Long live Terminator 2 for breaking the boundaries and capturing an audience from now and into the post apocalyptic future. Well done Cameron. It’s a shame you abandoned the film series that made you who you are today.